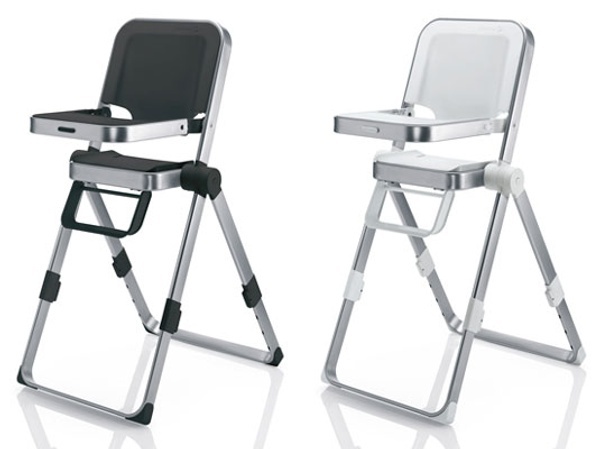 Concord Spin high chair - it folds up so compact, you'll take it everywhere! Concord Spin high chair – it folds up so compact, you’ll take it everywhere! High chairs keep getting more and more high-tech and when the design company is German you know it’ll be nothing short of absolutely perfect. I’ve always dreamed of going flat-out in a sports car on a German autobahn but at this time of life it’s probably not advisable, so I’m happy to settle for some baby-related precision engineering of the stationary kind. You might think Concord’s Spin high chair will take baby on a whirling joyride of some kind if its name is anything to go by. In fact, the Spin derives its name from the central axis by which it folds into the most compact chair on the market! 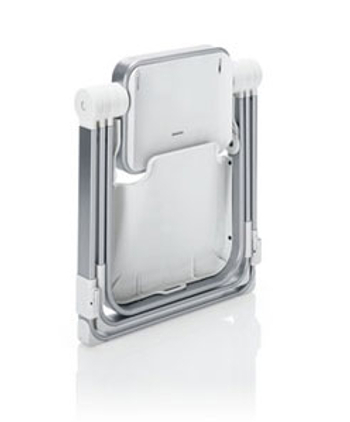 Made from anodised aluminium which weighs next to nothing (5.6 kg), it’s built to withstand the high chair shenanigans children up to age three can hurl at it and simply needs a wipe down when dirty. It has four height positions, a foot rest, harness, tray and a carry bag. Fold it up in a second and take it with you wherever go. How awesome is that fold – it’s as flat as a tack! There are no local stockists yet so you’ll need a re-shipper from the UK.